Pink Popciok - 400g of Pink Caramelized popcorn coated in milk chocolate and a thin layer of sugar. Presented in a buffet box. expiry dates are Approximately 12 months. Light Blue Popciok - 400g of Light Blue Caramelized popcorn coated in milk chocolate and a thin layer of sugar. Presented in a buffet box. expiry dates are Approximately 12 months. White Popciok - 400g of White Caramelized popcorn coated in milk chocolate and a thin layer of sugar. Presented in a buffet box. expiry dates are Approximately 12 months. Baba and Cream Sugared Almonds - 500g *Gluten Free. Toasted almond coated in a layer of chocolate flavoured bab with cream, with a thin sugar covering. Presented in a buffet box. expiry dates are Approximately 12 months. Caramel and Fleur De Sel Sugared Almonds- 500g Gluten Free. Toasted almond coated in a layer of chocolate flavoured caramel and fleur de sel cake with a thin sugar covering. Presented in a buffet box. expiry dates are Approximately 12 months. Sfogliatella Neapolitan Sugared Almonds - 500g. Toasted almond coated in a layer of chocolate flavoured Neapolitan Sfogliatella with a thin sugar covering. Presented in a buffet box. expiry dates are Approximately 12 months. Cappuccino Coffee Sugared Almonds - 500g Gluten Free. Toasted almond coated in a layer of chocolate flavoured cappuccino, with a thin sugar covering. Presented in a buffet box. expiry dates are Approximately 12 months. Orange flavoured Sugared Almonds - 500g *Gluten Free. Toasted almond coated in a layer of chocolate orange with a thin sugar covering. Presented in a buffet box. expiry dates are Approximately 12 months. Fruits of the forest yoghurt Flavoured Sugared Almonds - 500g. Toasted almond coated in a layer of chocolate yogurt with a thin sugar covering. Presented in a buffet box. expiry dates are Approximately 12 months. Dolce Arrivo Light Blue Sugared Hazelnuts - 500g Gluten Free. 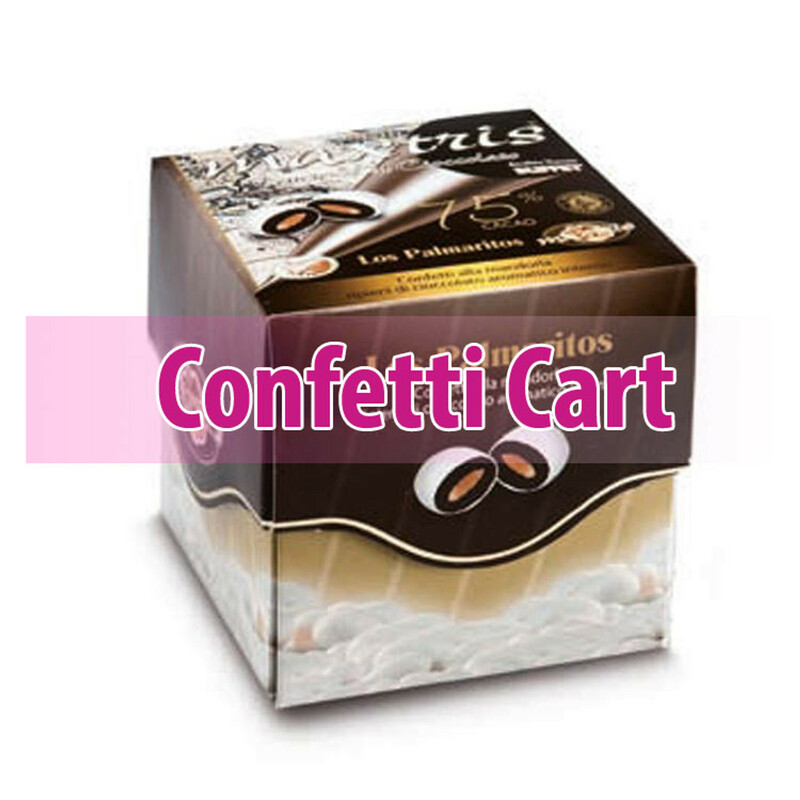 Individually wrapped high quality roasted hazelnut coated in chocolate and covered with light blue sugar. Presented in a buffet box. expiry dates are Approximately 12 months. Dolce Arrivo Pink Sugared Hazelnuts - 500g Gluten Free. Individually wrapped high quality roasted hazelnut coated in chocolate and covered with pink sugar. Presented in a buffet box. expiry dates are Approximately 12 months. Dolce mixed Flavour Sugared Hazelnuts - 500g *Gluten Free. Individually wrapped high quality roasted hazelnut coated in chocolate and covered with sugar. Presented in a buffet box. expiry dates are Approximately 12 months. Toasted almonds wrapped by a layer of white chocolate assorted tastes, Pistacchio, lemon, Ricotta & Pear & Cassata flavours covered by a thin layer of sugar. 1Kg. Toasted almonds wrapped by a layer of white chocolate assorted tastes, Orange, Peach, Stracciatella and Baba & Cream flavours covered by a thin layer of sugar. 1Kg.